I'm really disappointed with my reading in this year. I've struggled to settle in to doing very much. A mixture of tiredness, fluffy headedness and probably a bit too much Candy Crush. It's something that I want to turn around in 2015. I know that if I push myself to read a bit more I enjoy stand that I get more out of it. If I don't, it's harder and harder to pick up that book and forge ahead. If my numbers are right (and I'm not sure I've kept track as well as I usually do...) then I've only read fifteen books this year and eight of those were in the first four months of the year. As a result, it's pretty slim pickings on the top five front. Having said that though, although my reading wasn't as prolific as I'd liked, I read very few books that I didn't enjoy and wouldn't recommend... which is nice. In fact, I've had to leave out The Passage by Justin Cronin - the opening novel in a trilogy. It took me ever such a long time to read but it was worth it. In at five is a book that stays with you and asks questions of mankind and the decisions made. 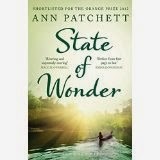 State of Wonder by Ann Patchett features Marina who on hearing that her colleague has died in a remote part of Brazil decides that she must go and investigate herself. Except no-one actually knows where Dr Svenson's fertility research is actually happening and just getting there seems to be a large hassle, with everyone who might be able to help not wanting to. Some interesting questions about humanity and what we'd do with wonder drugs if we had access to them. 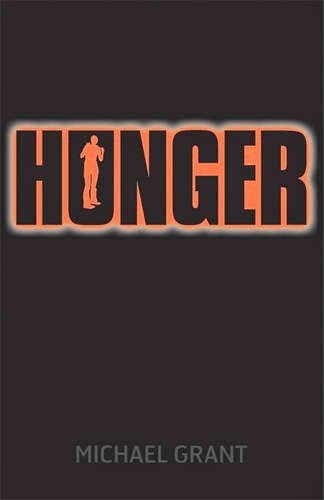 The fourth book, Hunger, is the second book in Michael Grant's Gone series. It features a world where all of the adults suddenly disappear and the children are all contained in a sort of dome. In this second book, the children start to have trouble with the amount of food left, particularly given a lack of foresight in eating the unpopular perishables. I've downloaded the rest of the series to my Kindle and hope to get into them this year. Book three was one I inhaled. I think I read about eighty percent of it while having a spa session on a family holiday. 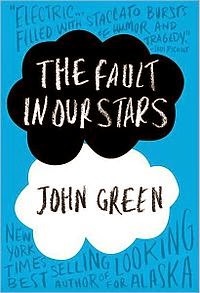 The Fault in Our Stars is one of those books that all the kids were talking about at school. As is often the case with those kind of books I found it didn't quite live up to the hype but it was readable and I can see why it appealed so much to all of those teenage girls. I haven't seen the film yet. I'm not sure that I'm all that bothered to do so. 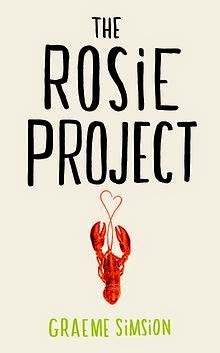 In second place is something that could arguably be described as a bit fluffy but The Rosie Project was recommended by a colleague and it seemed intriguing. A lead character with Aspergers who believes that he can probably find his ideal wife through a rather complicated questionnaire. Of course life doesn't really follow the way he plans and hilarity and rather touching events ensue. Interesting to discover that options have been taken out to turn the book into a film. My final book is a real epic. It took me a couple of months to get through it and this was really achieved in fits and starts. I found the opening, where the protagonist and his mother are in an art museum when it is bombed. In a state of shock and confusion he grabs a nearby painting, the Goldfinch, and heads home. The Goldfinch, Donna Tartt's first new book in eleven years, tells of what happens to Theo as a direct result of the bombing and the split second decisions that he made in the aftermath. Spanning many years, many locations and a pretty strong cast of characters, the Goldfinch is worth getting in to. I found some of the Boris time in the middle a little frustrating but I guess that was somewhat in line with the events in the story and me not really feeling I supported Theo's choices at this point. Here were my recommendations for books read in 2013.